On January 17, 2019, Colombia was shook again by the devastation and fear of terrorism. That morning, a SUV filled with a large amounts of explosives made its way to a police academy in Bogotá and exploded inside the compound. The devastating attack claimed the lives of 22 people — most of them students between the ages of 20 and 27 — and left over 70 injured, a devastating blow to families, friends and the police community in general. Moreover, this tragedy has also a deep symbolic message that was felt by all Colombians: a shiver down our spines out of fear of returning to a time when these explosions were filled the newspapers everyday. During the 1980 up until the early 2000s Colombia was hit by a dramatic increase in violence rooted in an ongoing civil war. Enemies from different sides and with different objectives aimed to create chaos and drive fear in the country in order to drive their agendas. Unfortunately, at the beginning, they succeeded and their attacks claimed the lives of hundreds of thousands of people, most of them civilians. Despite this drama, the Colombian people pushed on and demanded that the government found solutions to the root problems of the violence. In 2016, and after much work, a glimmer of hope started to appear. After long negotiations the government and the largest left-wing guerrilla — formerly known as FARC — agreed to a peace process that would transition the organization from an armed militia to a political party with representation in congress. Thanks to this efforts, the conflict de-escalated significantly and civil communities around the country regained their peace. I’m returning to this blog after a while. This semester has been without a doubt the hardest I’ve had in my life. Balancing school, work and life in New York is no easy task, and I barely managed to do so this semester. Although this semester has been tough, I need to keep pushing and finish all of my classes, and most importantly, Thesis. After my failed final project, I needed to pick myself up and look again at where I got lost in my process. After talking to Anezka and Andrew, I reflected on where this happened and concluded that this was when I started exploring masks. Looking back, I remembered that I ran into difficulties logistically because I wasn’t able to find a relevant database for my project. After getting tired of researching and thinking about the form, I got curious about other potential forms or paths my thesis could take and eventually just moved on into other potential ideas. But that is the past, and as a way to move forward I’m picking up from these masks explorations and diving a deeper into potential databases. 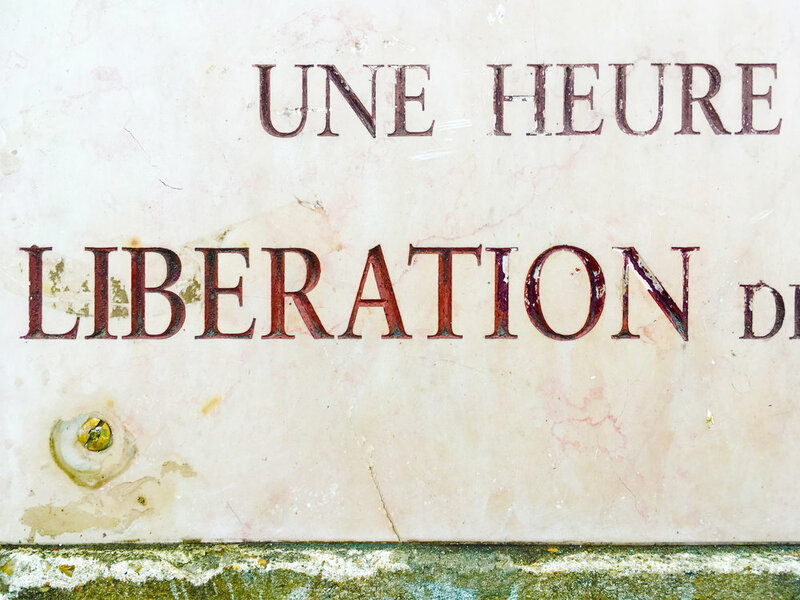 For our final activity our team explored Paris through the words we found on the streets. Each of us wrote a story about politics through our personal perspective: Arthur through the eyes of Germany, and Europe; Yue and Max through the lens of China and Juan through the view of the U.S. and America. Trying to find the words on the street challenged us to be creative and poetic about the story that each of us wanted to write. One interesting aspect about political freedom is that it seems to be rather subjective. For example there is a simple four word tag on a wall saying "The violence of the rich" which is not a very clear message. The fact that it is located on one of the big shopping streets in the Marais, where fancy boutiques are a contrast to homeless people asking for food or money, makes it sound like it is a critic to capitalism and some aspects of Paris itself. In general the contrast is very much visible in the current situation of europe. There are a lot of people seeking refuge who have major difficulties integrating and finding jobs. The right wing populist parties gain more attention. And neo liberal groups of people from powerful companies gain more influence over time. For my second round of prototypes I decide to explore masks, their form and our relationship as humans with them. This inspiration came from one of my peers who created a mask prototype for her thesis research. I became interested in masks because of our ancient relationship with them and how they are able to communicate—or hide—parts of our identity. As I did my research I was also intrigued by the multiple uses we have for mask. Throughout history, mask have been used for artistic/perfomative purposes, like rituals and representations, as well as for functional reasons, like protection or privacy. What is the relationship of masks with the city? How would ancient mask have evolved to exist in the modern city? 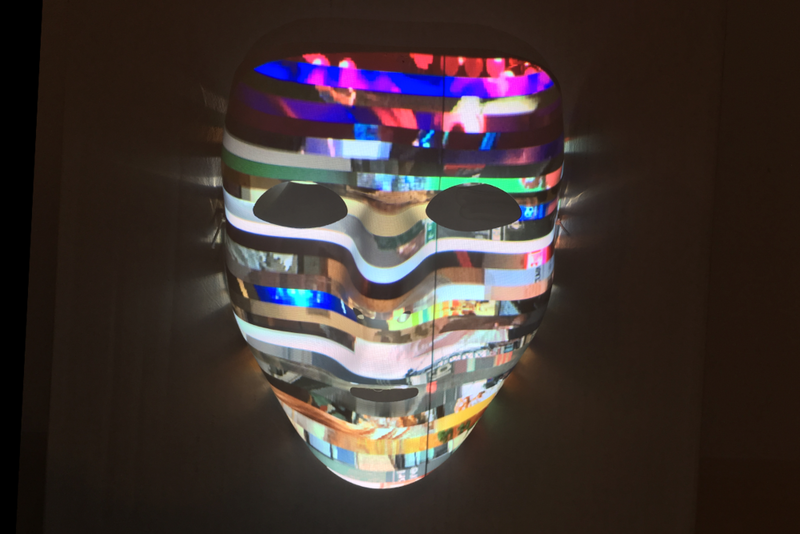 How might city data shape a mask? What rituals do we perform in the modern city? And how might the masks for these rituals look? With this questions at hand I decided to create some prototypes that explored the form a project like this could look like. However, right at the beginning, I found some challenges with some of these questions. Mainly, the problem of distortion when trying to visualize data in a 3D space. Although this is definitely a problem to take into account, I decided to ignore it for these explorations as this first round would help me ideate solutions for this issue. In addition to this, I also wanted to explore how different types of data could potentially look on top of a mask. given that producing a 3D artifact is time consuming, I needed to find a way to make several prototypes in a short amount of time. I made the decision to use projection mapping to solve this hurdle. By using a projector, I could overlay different types of data quickly and from multiple sources. Lightswarm is an installation that uses sound sensors to lighten up a series of LED lights. When the sensors recognize noise, the lights turn on and travel through the installation in a series of different colors. The visualization is a representation of the noise that’s on the other side of the glass. Moreover, it works both ways as the interior and the exterior can trigger the interaction. I find this project inspiring because the installation becomes a portal between the interior and exterior of the building. The glass becomes a semi-porous filter that captures sound and transforms it into something enjoyable rather than something annoying like honks and sirens. I find this connection between the interior and exterior of structures very interesting and somewhat unexplored territory. In the city this two worlds are parallel universes, but we have this sort of portals that connect both: doors, windows, balconies and rooftops. This project creates a different kind of portal that connects both universes in a different, creative way. I also looked at some other projects by Future City Labs and I found it really smart and creative. I’m sure I’ll be drawing more inspiration from their work. Oddityviz is a project that I found a couple years ago, but that I always seem to return to. This project deconstructs various data aspects of the song Space Oddity by David Bowie, and visualizes them in very creative ways by engraving the data visualization onto a set of vinyl records. What I like the most about this project is the ability of the creators to extract so much data out of just a song. The project is composed of 10 records that visualize things like melody, texture, narrative and emotion, amongst others. I think it’s also a good reference of ways in which we can take data and visualize it in creative ways. One of the records that I found interesting in particular is the emotion record. Mainly, I think they took a smart approach at gathering emotion data for the song. Although one downside could be that the data is biased towards a certain group of people—i.e. friends of the creators, people living in Europe or Londons or age range of the sample—it remains a good example on yet another data type that can be extracted from a piece of art. Another aspect I really like about this project is the wide variety of visual elements that are use to create the data visualizations behind each record. Depending on the type of data, continuous or discreet, the designers used primitive shapes, lines, patterns and waves in different ways to convey the data of the project. 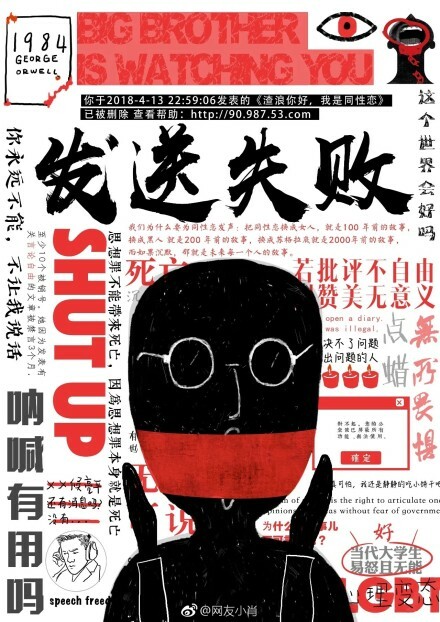 This is particularly commendable given that they are working with monochromatic media, which means they are not able to use color as part of their toolkit to create this visualizations. 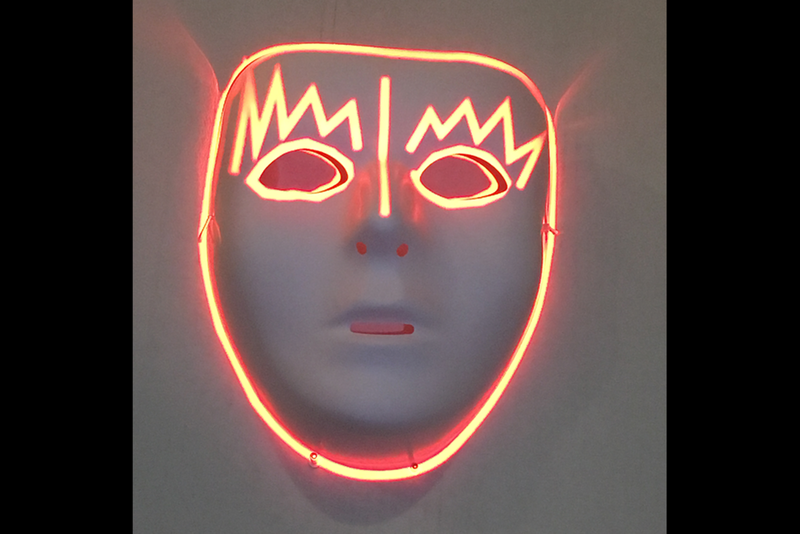 Over the last week I’ve been interested in the idea of urban masks and in the idea of creating one as an exploratory prototype. While doing research and looking for inspiration, I found this great 3D printed mask created by Shawn Hunt and inspired in Northwestern Indigenous culture. The mask looks very cool as a futuristic raven, but what’s even more interesting is that it opens to to reveal a different mask. Another thing I like about Hunt’s piece is that it’s inspired in an ancient Nuxalk mask that does the same thing but through another mechanism. Instead of using levers and a motor, it uses a system of drawstring which the wearer can pull to reveal the second mask hidden within. It’s interesting to think that the drawstring mechanism in the ancient mask would be considered advanced technology during their time, and I also find it compelling that after thousands of years apart two different technologies accomplish the same result. I’m creating a quote repository for my thesis research. I’ll constantly update this post with quotes I like and seem relevant to my work.